This weekend’s Star Wars Celebration was jam-packed with all kinds of juicy reveals for fans — and even non-fans, who saw their social media feeds explode after each new info drop. New games, new TV shows, and a new movie were all part of the epic weekend’s highlights, but for our site, the biggest news was the announcement of a new expansion for Star Wars: The Old Republic. In Onslaught, you’ll be plopped down in the middle of a new war between the Republic and the Sith, forced to choose sides in the galaxy-wide conflict. Players will visit two new planets: Onderon, which was featured in the single-player Old Republic games, and Mek-Sha, a crime-riddled station carved out from an asteroid. The finale of the story arc takes place on Corellia, in a flashpoint suitable for solo players as well as groups. A new operation on Onderon’s moon Dxun, is also part of the expansion. Also new in this expansion is a new gear slot for “tactical items,” which are described as “build-defining items [that] directly alter your abilities and playstyle.” They can be acquired via a number of different game modes, including PvE, PvP, through the Galactic Command system, and from crafting. Star Wars: The Old Republic’s Onslaught expansion releases in September and will be included for free with a subscriptions. 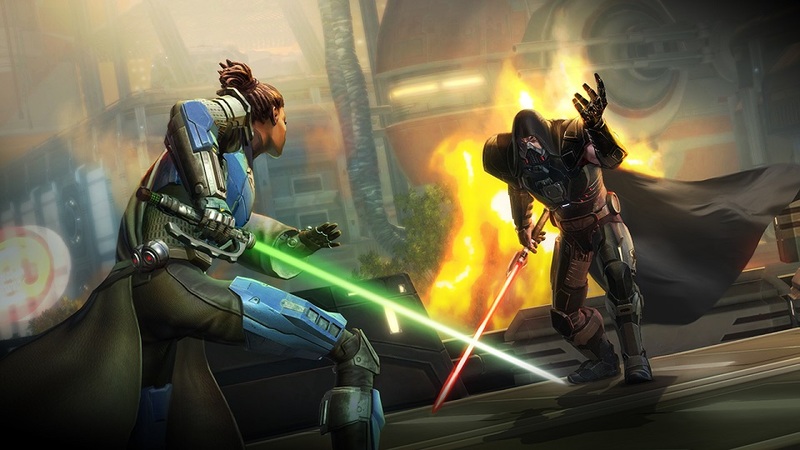 Learn more about the expansion on the SWTOR site. Yes you know how is that fake free to play system. The basic demo converted in a free to play. I prefer play star trek online at least they know what f2p means. Don’t forget the new Nautolan race as well coming with the expansion! It’s free to who pay for it.